Many of these common household or office items can be placed in your recycling bin or taken to a transfer station. Recycling used materials into new products reduces: the consumption of raw materials, energy usage, air pollution from incineration, and water pollution from landfilling. Metals are elements that naturally occur in ore (rocks). These ores are extracted through mining and then refined to extract the valuable elements. It takes an incredible amount of energy and resources to extract these elements. So when we recycle metal, we not only preserve natural resources, but we save energy too! 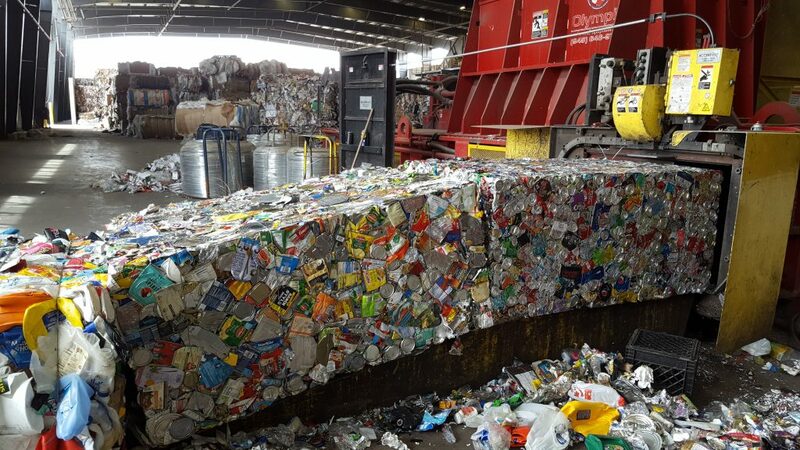 For example, recycling aluminum involves melting the scrap, a process that requires only 5% of the energy used to produce virgin aluminum from ore. According to research conducted by the US Environmental Protection Agency, recycling scrap metals can be quite beneficial to the environment. What metals can I recycle in Santa Fe? Almost all metals are recyclable; it just depends on where you recycle it. 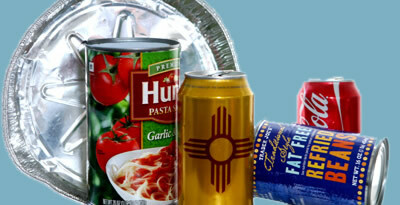 Food or beverage metals are usually generated at home or work and consist of soda cans, canned food containers, and aluminum foil. 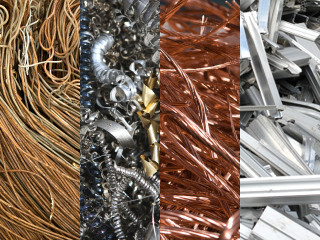 Scrap metals are items like cooking pans, water heaters, or an old metal shed. For more information on bulky scrap metals, please see the Large Appliances section. Bulky metals are banned from our landfill. Ferrous Metals mostly contain Iron. They have small amounts of other metals or elements added, to give the required properties. Ferrous Metals are magnetic and give little resistance to corrosion. Some examples of the ferrous metals are vehicle scrap metal, demolition site scrap metal, and metal offcuts from manufacturing industries. Remember, please give a quick rinse to metals that contained food so it does not contaminate other recyclables. Where can I recycle metal? Santa Fe Metal Recyclable Bales at Friedman Recycling in Albuquerque. Which metals are not recyclable? Any object containing Mercury or Lead must be disposed of differently and cannot go in a recycling bin. Mercury is most commonly found in a thermometer or Compact Fluorescent Light bulb (CFL). For more information, visit the Florescent Lights & Mercury section. Lead can be found in Cathode Ray Tubes (CRT’s) like old televisions and computer monitors. For information on disposal, visit the TVs & Computer Monitor section.